Get Your Brand in Front of Even More Pet Professionals Looking to Buy and Maximize Your ROI. Whether you’re a newcomer or veteran, exhibiting at SuperZoo has the power to improve your sales by leaps and bounds—which means you probably want to brush up on ways to make the most of your experience and optimize your on-site presence. Smart move. With more than 9,500 attendees converging on the show each year to source the products and education they need to elevate their businesses, it’s the most-attended pet retail trade event in the North America. 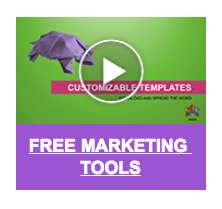 In other words: a total game-changer for your brand. Simply follow the step-by-step guide below to start planning your show. Review the floor plan: With tailored neighborhoods designed to give exhibitors targeted access to key audiences—while also benefiting from walk-through traffic from across the industry—it’s important to understand the full scope of opportunities available to you. Submit a contract: Once you’ve selected a few options that are right for you, submit a contract with your top three booth locations. Sing loud and proud. Shout from the rooftops. Solicit all the grassroots PR you can find. Successful exhibitors know that a positive onsite experience relies not just on what your booth looks like onsite, but what you do beforehand to promote your presence to North America’s largest pet retail audience. Prepare and distribute a captivating press release: Check out our helpful media toolkit for expert tips to build media buzz. Promote yourself onsite: Secure a spot with your name and booth number in the show daily, pocket guide, mobile app and online digital booth. 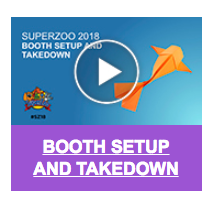 Utilize all the excellent resources SuperZoo has to offer: Our Partners in Promotion page provides helpful downloads and templates for you to easily and conveniently promote your participation in this year’s event. Outshine the competition with a sponsorship: Boost your exposure with a sponsorship opportunity or customize the promotion that’s right for you. Register before the show: Exhibitor badges will not be mailed; you must register your staff online. Exhibitors pick up their badges during move-in and skip the long lines on the day of the event. You will receive a registration confirmation via email with a barcode that will allow your badges to be printed onsite. Plan travel early to ensure the best price on flights and hotels: SuperZoo offers discounts and travel information to make budgeting and trip planning a breeze. Budget methodically: Create a budget worksheet to use as a task-management checklist. Learn the rules: Visit our Service Kit page for full details on booth rules, order forms and many more helpful resources. Knowing in advance what to expect prevents onsite confusion and helps you have a successful experience. No canopies or awnings are permitted. Hanging banners and signs are only allowed on island booths 20×20 and larger. Carpet or flooring must be used in your booth: Order carpet, tables and more in advance to save on cost and stress—all can be ordered through the GES Service Kit. Electricity, internet, telecommunications, plumbing, booth cleaning and food/beverage can be ordered from the Mandalay Bay Service Kit. 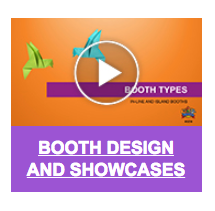 Exhibitors pay a fee, based on weight and number of packages, to have materials received and relocated to your booth. SuperZoo booths include a 300-pound drayage credit. No wheels allowed: You may hand carry your material through the front or hand-carry door. Consider cartload service: In many cases, this is the most appropriate, easiest and most affordable way to move smaller shipments. You’ve made it to the show! Now it’s time to ensure success onsite. Keep track of show hours by reviewing the schedule in advance. We’ll say it again—make sure you register your team in advance! All booths must be set up by the Monday evening before the show floor opens. Your booth must be staffed at all times during show hours. Driving to SuperZoo? SuperZoo is providing a free parking lot across Las Vegas Blvd. with a complimentary shuttle right to the front door of SuperZoo. Parking is $15 onsite at Mandalay Bay—regardless of whether you are a hotel guest or Nevada resident. Early dismantling of your booth violates show rules. More importantly, it detracts from the professionalism of the event. Early dismantling will result in a $1,000 fine. Networking Reception: Join your fellow exhibitors and attendees on Tuesday, June 26 from 5pm to 7pm for conversation in a casual setting. SuperZoo Concert: Make sure you save time for SuperZoo’s most popular social event—a rocking concert with a top-name recording artist. Meet One-on-one: Pull up a seat and take advantage of onsite lounges to solidify a new customer relationship or develop an existing one. Step 8: Celebrate your success in 2018 and save the date for 2019! And here’s one last tip—submit your 2019 contract before you leave SuperZoo 2018 for your best choice of booth space.